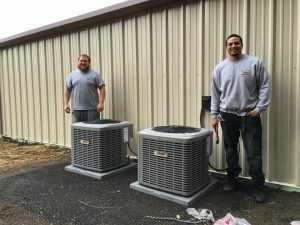 Osburn Mechanical Inc in Elmira, NY, serves the plumbing and HVAC needs of residential and commercial customers in Chemung, Schuyler, Steuben and Tompkins Counties. Ed and his staff have installed, repaired and replaced plumbing, heating and cooling appliances for countless numbers of customers for many years. We are family-owned and operated and fully licensed, so you can expect quality service. Whether you need us to stop up a leaky faucet or install a furnace, we’ll offer you the same experienced, round-the-clock service that our customers have come to expect from us. We respond to appointments and emergency projects with fast, reliable workmanship. Call 607-731-1072 for the prompt and experienced plumbing and HVAC services you deserve.